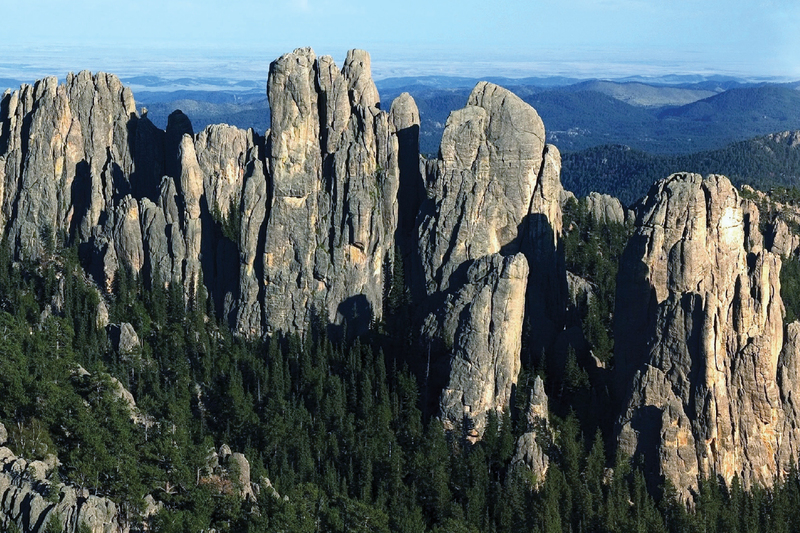 Cathedral Spires, just one of several epic hiking spots near Granite Sports. 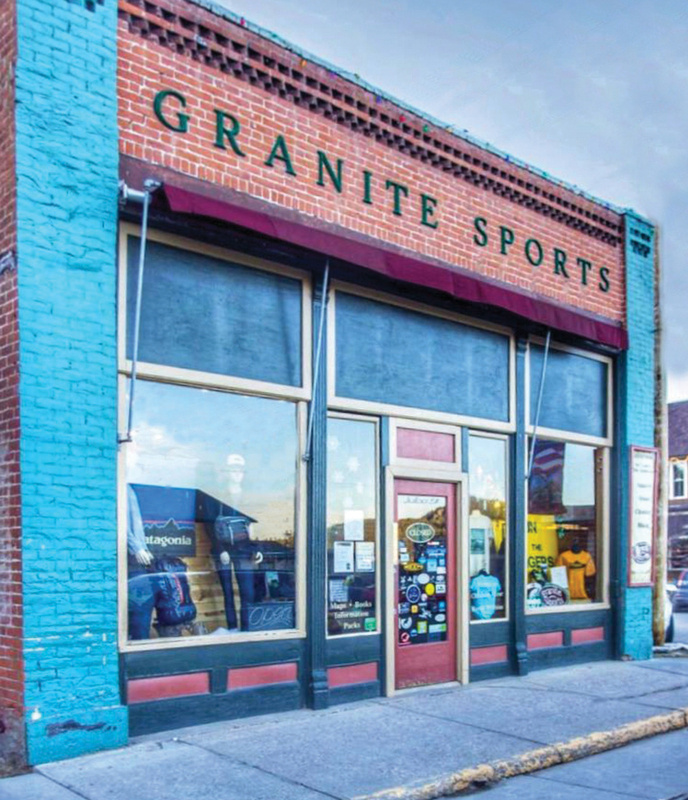 Granite Sports is a small-town climbing shop located near one of the nation’s most famous tourist attractions. The South Dakota shop is the oldest outdoor specialty store in the Black Hills. Situated 10 miles from Mt. 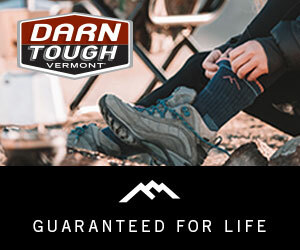 Rushmore, Granite Sports carries gear and clothing for rock climbing, hiking, backpacking and camping. 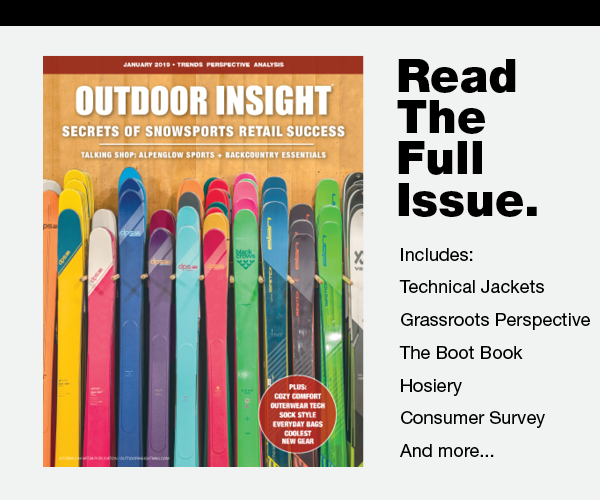 The 2500-square-foot shop’s mix of climbing gear and lifestyle offerings includes brands such as Patagonia, prAna, Petzl, Black Diamond, Smartwool and more. Owner Pat Wiederhold has an interesting perspective on the business. He says he initially bought the store as a real estate investment. But this specialty shop in this touristy town became a labor of love for Wiederhold and 12 years later he is all-in as an outdoor specialty shop owner. Here, Wiederhold shares his thoughts on the climbing business and what’s resonating with his customer base. “I have owned the store for 12 years. The store has been here for 20 years. I have a pretty varied background. I initially bought the store as a real estate investment. I ended up liking the stuff inside the store so much that we continued to run it. “We have a pretty substantial climbing section in our store. The climbing business is steady. It is becoming more popular with a younger group. Kids have access to try it out in climbing gyms and at colleges and they are more interested now in getting out on some rock. Climbing is not as fringe as it was 15 or 20 years ago. “There is an outdoor store in Rapid City, 30 miles away, and there is a Cabela’s and a Scheels nearby. But those stores are just different than we are. There is some overlap, but it is a bit different. Actually Scheels sends people to us a fair amount when they have a customer who is looking for a climbing product that Scheels doesn’t have. We do have some local competition and then we have some competition online. “We also get pressure from brands selling direct to consumer. But we can not control those things. We can only control what we do and so we try to focus on the customer experience. People who want to save five bucks shopping online will shop online, but most people appreciate the customer service we offer and appreciate getting taken care of. Granite Sports packs a lot of gear into its 2500 sq. ft. space. “I am always amazed by the shoe business. It changes all the time. It just keeps growing and it is ever-changing. For example, five years ago Toms was our biggest brand and now it is not in our top 20. It just ebbs and flows. “Certain apparel brands are consistently popular for us every year, such as Patagonia, Smartwool and prAna. 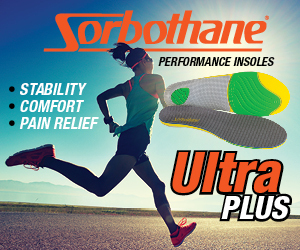 In footwear, Hoka One One and Altra have become super popular last three or four years. “We just try to go to the trade shows and keep up with things. We find things we can dabble in so we have something a little bit different for our customers when they come back. “The best thing is the people that come in here. The people that use our stuff are happy people. We get to meet a lot of great people everyday. They are out and they are active and they are enjoying themselves. The products are great, but the people are really great when they are happy. It is fun to talk to happy people.